Each year I publish quite a few posts. Some are very popular, and others, well, not so much. Today I list the posts that you read most often in 2008. Why are these so popular? It’s hard to say, but the readers have spoken with their clicks. So to you frequent readers, or those who have just joined us, here are the top posts of 2008. By far the most popular posts were the articles on how best to name your avatar. We’ve all seen horrifying avatar names, and some of us are even stuck with them ourselves (/me is guilty). How could this happen? How can we prevent it? And, find out exactly how good or bad your avatar name is with the scoring system. How Cool is your Avatar’s Name? In my business I often bump into club owners who seek fogs or other particle effects, and I get a sense of their issues. I wrote my thoughts in a three-part series that explained some of the problems and potential solutions. Not a terribly kewl topic, but they’re very popular reads. In June of 2008 several SL types including myself began to use Plurk, the microblogging service. It quickly became addictive and after many, many invitations we now find hundreds, perhaps thousands of avatars using it daily. It was so wildly popular for avatars that I could not resist using an extremely provocative and misleading title. The story is well-known now; Vint Falken and I conjured up a rather insane project for the SL blogosphere. We made blogging volunteers write random posts on random blogs. It was a ton of work, but we managed to get it done and the results were astonishing. I am still proud of all the participants. One of my Canadian SL friends is the amazing builder/designer/bonvivant Codebastard Redgrave, who executed a textbook-case sim opening. I covered the opening itself, but then analyzed how she pulled it off so well. I managed to attend the Second Life Community Convention during September, and it was one of the most amazing experiences ever. I can’t tell you how much fun I had, and was able to write down only a tiny bit of it in my post convention report. I’m constantly thinking about what might be in the future, and I realized I’d better start writing it down. I began a series of fictional “days in the life of a future avatar” that describe some of my crazy ideas. These were not especially popular, but I really enjoyed writing them. I am certain I will do more in 2009. A friend pointed me to a rather unusual exhibition that poked fun at the Lindens, and I wrote it up in this post. Why do I like this one so much? The bit about Lagnor at the end had me howling for quite a while. Many SL blogs tend to be highly critical of, well, everything. I try not to be critical because I believe that things are really never as bad as is often claimed, and that if progress is to occur we must have a positive attitude. In this post I tried to demonstrate that the blogosphere negabuzz was a bit offbase. I wrote this one in early 2008, and I often think of it. You’ll see why. I am still smiling. Best Wishes to Everyone in 2009! I haven’t written to you in quite a while, but this year I feel it’s necessary. That’s right, I believe that I’ve been a very, very good avatar all year long. With a few exceptions. Mostly I’ve been good. Well behaved. Usually. No one could question that! Except, well, um. Don’t worry about that, SLanta. Oh, I clearly deserve some Christmas presents, and just so you have an idea of the items I desperately want, I’ve prepared this short list for you to give to the SLelves. I’d be very happy if you managed to get me one of them, but even happier if you sent me more than one, especially if you send all of them! A software fix for those fatal graphics errors that occur all too often to the SL Viewer on my Mac. They always seem to happen at precisely the wrong time. I’m so glad my friends understand when I abruptly disappear in the middle of a deep conversation. A reduction in Linden Lab tier fees - not so much for me, but for all those who were adversely affected by increases. Well, yeah, I’d like some too if you’re handing them out. More customers! I get quite a few customers showing up at my shop, but I can always use a few more. In fact, SLanta, if you need some snow, I happen to have some you might be interested in. Drop by Electric Pixels and I’ll give you a deal! I want the guy with the oddly-shaped 208 sm parcel smack dab in the middle of my property to reduce his price from the outrageous L$35K (that’s L$170.00+ per sm) to something, anything more reasonable. SLanta, believe me when I say that he’s been a very naughty person. In fact, why not just give me the parcel! Yeah! More time in the day. I realize that everyone will be asking for this one, but I really, really need this one more than anyone! I have so much to do, so many people to see and so many places to visit that I must get more hours. SLanta, I know that this one is asking a lot from you, but I believe you can do almost anything. Please! Tickets to SLCC 2009 for all my friends who were unable to make the 2008 episode. Nothing could make me happier than being able to meet my close friends in person, and SLCC 2009 would be a terrific place to do it. And you can come too, you wouldn't be out of place! Thanks again, SLanta, for your consideration of my meager requests. I know you can do it! I’ll leave a cookie for you. There’s been extra helpings of doom spooned out at the dinner table of late. Blog posts complaining of this problem or that issue. Residents leaving. Bad press. More bad press. Linden staff leaving under suspicious circumstances. We’re doomed! Give Up Now! Run away! Technology Trigger: The initial period after a technology is invented, where typically very few people know about it. Peak of Inflated Expectations: After a technology is introduced, many people soon realize its POTENTIAL and assume the technology is sufficiently mature to hit that potential immediately. During this phase you typically see many mass media articles touting the amazing things that COULD be done. After reading these articles, some individuals and companies actually attempt to do them, too. Many of them fail. Trough of Disillusionment: Of course, the technology is still new, not only in terms of its raw capability, but also of its users ability to know how and what to do with it. Typically the majority of keen users, initially attracted by the positive media blitz during the previous phase crash out as their projects and activities do not meet their overinflated expectations. Word of these failures is passed around and a general malaise over the technology occurs. You start seeing a negative media blitz. It’s just bad stuff; run away quickly! You’d have to be crazy to do that! There’s something better over there! Slope of Enlightenment: While the majority of users fled, some stay. Their perseverance yields discoveries that show how to really use the technology properly. Plateau of Productivity: Over a long period of time, their successful new enlightened approaches find their way back to the majority of users and increasing numbers of people find great use of the technology. Potential IS finally achieved. Does this really happen? Yes, absolutely it does. Virtually every technology follows this sequence of events. “It’s a great idea; It doesn’t work; Oh, maybe it does!” It’s a learning scenario for the public at large. I’ve personally observed this effect happen to many different technologies over the years. It’s definitely real, and Gartner actually tracks the exact phase of dozens of technologies along this very curve. And amazingly, we see a massive peak in early 2007, just at the moment when many people and companies arrived. You may recall seeing dozens of positive media stories about SL during that period. 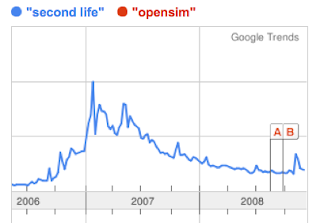 We then see a huge drop-off in searches for "Second Life", suggesting that more people became disillusioned with the technology. You may also notice the numerous negative articles more recently. This is as classic a case of Hype Cycle as could exist. 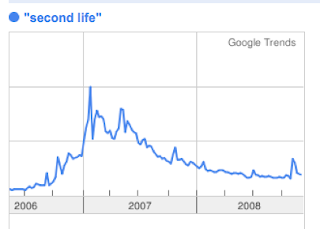 Also, the graph probably matches your feelings toward Second Life over the same time period; it does for me. Notice on the right hand side of the graph we see the beginnings of an upturn, precisely as the Hype Cycle predicts. Could this be due to the recent actions of M Linden? The gradually-more-stable software? The amazing resident builds? 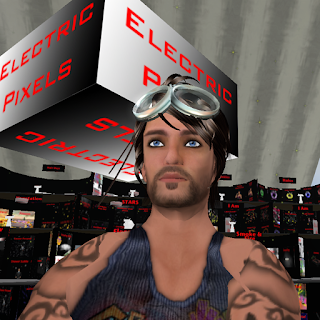 The rise of educational use of Second Life? I can’t say, but whatever it is, there’s a plateau starting to grow. As you can see, OpenSim Doesn’t Even Register! Yes, people are leaving, but clearly they are a tiny proportion. The general public has simply no idea what OpenSim is at this point, and those using OpenSim might be called pioneers. If you were to rank OpenSim, it’s probably earlier in the Hype Cycle, starting to head up the Peak of Inflated Expectations. The implication is that at some point people will get disillusioned with it, too. 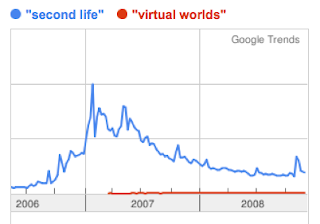 For fun I also checked the trend of “Virtual Worlds”, and found that it does register, but only just. The plateau I speak of may not actually be Second Life itself; it could very well be OpenSim as users are introduced to the concept of virtual worlds via Second Life, but then realize there are other options. 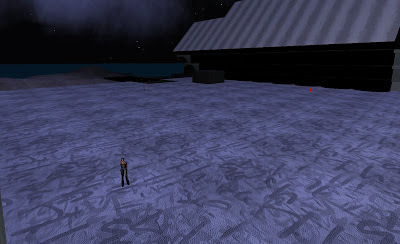 Today the general public tends to use the words “Second Life” instead of the more generic “Virtual Worlds”. We’ll have to watch these trends carefully over the next year or two. There’s another interesting aspect of the Second Life trend graph. It more or less seems to match my in-world store’s revenue stream. There were a lot of sales until late 2007, and then things mysteriously dropped off. Only now are they beginning to recover for me – just as the plateau is emerging. So stop frowning and try to smile; things are definitely not as bad as they say. I’ve been watching two entirely different but strangely parallel ongoing events in recent weeks. What events am I referring to? First, it’s Crap Mariner’s TunesInSL campaign, which is intended to promote many of the wonderful SL-based musicians. The other is Eshi Otawara’s announcement of her new fashion line. Now you might wonder what on Earth these two radically different activities might have in common, other than they are being done by two very close friends. The common factor is that they are both promoting something. Fashion products in one case, musicians in the other. Both are following a complex process to meet a difficult goal. Make a large group aware of your “thing”. Make sure that interested individuals consider your “thing”. Blog posts. Many SL makers have an accompanying blog in which they can post the details of their new product. Example: I do this now and then. Positives: a blog post is hugely rich and can include significant text, images and even videos and can potentially reach a lot of people. Negatives: Few will read a blog solely for product announcements, and you’ll have to commit to a significant amount of high quality writing. Notecard. Notecards are not nearly as rich as a blog post, but can be useful if carefully worded and sent to a group of friends. 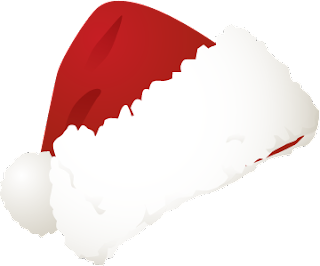 Positives: Almost assured delivery to each recipient; can be perceived as a personal message. Negatives: Can be perceived as SPAM by some recipients; Typically low numbers of people can be reached compared to other methods. Group announcement. A well worded announcement can be sent to a group, either a true SL Group or a Subscrib-O-Matic group. Positives: Those who subscribe are more likely to partake of your offer than the general public, as they’ve previously expressed interest in your activities; Potentially large numbers of people can be reached. Negatives: The message sent is not nearly as rich as a blog post, and in some cases is severely limited in size. Advertising. This involves somehow visibly placing your product name in a place where many people will see it. Promotional idea. This one is a little vague, as I mean any kind of game or contest that can be associated with your product. The possibilities here are as endless as your imagination. Positives: These can be incredibly successful. Negatives: These can go catastrophically wrong. You must have tremendous imagination and effort to attempt to do a successful promotion. Show Appearance. A podcast interview or an appearance on a popular machinima show can make many aware of your product. Example: I appeared on SL Under the Radar a while ago. Positives: This medium is vastly different than all the others and so you can portray your story in a unique way. Negatives: Show audiences vary considerably, but in all cases few people actually know how to view/listen to them, and thus the potential audience size is limited. Microblog. Twitter and more recently Plurk offer ways to announce your message. Positives: Extremely easy to do, and no cost at all; Large, dedicated audiences are potentially available. Negatives: For one, you get only 140 characters, so there’s only so much you can say; You must gain the trust of a large number of people, and that can be very difficult and time consuming, especially if you’re not trustworthy! Mass Media. You somehow manage to get into one of the major media outlets (press, magazine or TV). Example: Crap Mariner’s CNN iReport. Positives: Massive number of eyeballs on this one. Event. This approach is commonly done by many SL business in the form of a product launch, fashion show or opening party. Example: Eshi’s fashion show where she unveiled her new line. Positives: Moderately easy to do; Usually effective in bringing good amounts of traffic your way; Fun! Negatives: Can be expensive, depending on what you do. Forum Post: Discussion boards are a great way to post a message viewed and responded to by many people. Example: Crap Mariner's SLBuzz posting. Positives: Very easy to do; potentially large audiences available. Negatives: Unless you have the trust of the audience, you will be ignored. Press Release. A concise method of documenting your announcment. Example: Codebastard Redgrave’s press release on her new filtercam product. Positives: Appears very professional; Relatively easy to produce. Negatives: Awkward to include video; Who do you send it to? PR services that can send it to many for you are expensive, otherwise it’s just a specially formatted blog post. You issue a press release on a blog regarding an upcoming event to reveal new product lines. The announcement is echoed on all microblogs, and the text is sent by notecard to relevant groups. Appearances on several shows prior to the event raise the event’s profile, as do strategically placed advertising signs. At the event, door prizes keep people talking, guessing and anticipating. You can see that there is quite a bit to the seemingly simple task of making people aware of your product. Next time, we’ll talk about what you do after that. By the way, you can find Eshi's amazing collection at her store, Chambre du Chocolat. Yes, I’ve made a decision. And it’s why I haven’t been posting this week. I’ve been shopping – for land. My main shop is located on mainland in the Caso Milo region, and has been unchanged size-wise since June 2007. However, I’ve been gradually filling it up over the past eighteen months with products, displays and even a rather wacky lounge. I’ve even begun to worry about prim counts, something I’ve never had to do before. Last week I noticed a few parcels adjacent to me on sale! After much debate (hence the title of this post) I decided to expand onto mainland instead of getting into the island game. The bottom line was that I just could not justify the expense of an island without having a solid approach for a return on that investment. In other words, I could not think up a way to actually use the land on an island effectively. Sure, I could USE the land, but would I get any RETURN from it? A business does not last long if it spends without returns. Besides, as everyone knows, islands are a risky proposition if you are not willing to fund it from your own pocket. You must have a substantial income from your business, massive donations, subsidies or a complete complement of renters. None of these are guaranteed, and you’ll have to work very hard to make sure they come through. Worse, there are no guarantees that tier rates will remain stable, as we’ve seen recently. So I proceeded to engage something I know I can afford and make good use of. A bigger mainland shop. After some quick “buys” and “joins”, my parcel is now almost twice its original size, as you can see in the top image. One issue is that I did not quite get all the space nearby. There was a 256 sm parcel subdivided into a 208 sm and several 16's. I'm negotiating for the 16's, but the 208 sm is priced at the ridiculous price of L$25,000+, if you can believe it! It's using some kind of automated script to gradually lower the price. 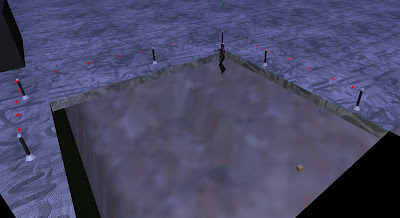 Fine, I will build around it, and I've placed some particle stanchions around it to keep people from falling to their death below. My goal is to rectify an ongoing issue in my particle business: sales seem focused on very basic items, such as chimney smoke, white fog, fire and a few other staples. Meanwhile there are many other fascinating particle effects that don’t sell as well. I have pondered this for a while, and now have a theory that I can test with the new land. 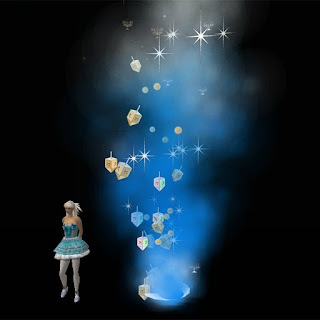 The theory is that unusual particle effects are very difficult to understand, and simply cannot be sold from a box picture or even a basic small-scale demonstration. People already understand smoke and fire, so they buy them. They don’t understand the more unusual products, so they don’t buy them. I sell many strange star effects, but I believe the reason they buy is because I usually have a parcel-wide demonstration running that people can’t miss seeing. In other words, if customers see products properly, they are more likely to purchase. My job as the merchant is to truly show them what the other stuff is all about. And I could not do it when limited by the space. Thus, the new area will be used to provide rich demonstration experiences, far more detailed than ever before. For example, I suspect I’ll end up with a gigantic area for showing fireworks effects. And another for dance floor effects. And so on. So if you don’t see me in the next while, you can find me hidden in the back, building demonstrations! I Feel an Eruption Coming! 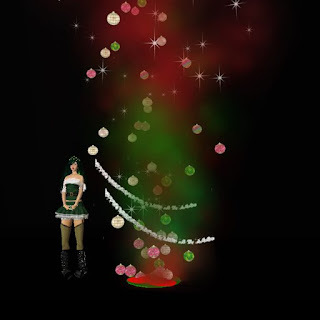 The holiday season is approaching, and I wondered what kind of new particle effect to build for the busy sales season. 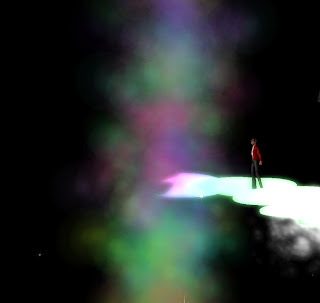 I wanted something new, and while tossing ideas around in the Particle Lounge with friends, we noticed one of the strange effects beside us, Rainbow Smoke. The Rainbow Smoke is quite cool, but definitely not a holiday item. But could it be made into something special? Yes! A bit of red and green color, ornaments, garlands, stars and a bit of swirl resulted in this, the astonishing Ornament Eruption! It’s not exactly a Christmas tree, but the imagery really feels like one. And that’s the thing about particle effects. It’s not just the color, motion and textures. It’s how it makes you feel. That’s how I judge success – does it make you feel something? Does it make you feel what was intended? If so, it’s probably just right. That’s how I felt when the Ornament Eruption first went off in my Lab. One friend said “There’s another holiday, you know!” Thus, I managed to tweak out a Hanukkah version too. There’s just one teeny problem. What is the one, true way to spell Hanukkah? Hannukah? Chanuka? In any case, if you really need an eruption (and who wouldn’t?) you can get them now at Electric Pixels – and the Hanukkah versions are also available at the Jewish Store.